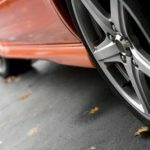 One of the areas that gets often neglected is the steering and suspension components of a vehicle. If the car drives straight enough, no worries, right? Wrong. Just a small misalignment can cause your tires to unevenly wear making for an early tire replacement. Other times parts like tie rods and bushings can create unsafe instability that could be crucial in some driving situations. Make sure to have Town Hill Auto Repair Service in Bedford’s ASE Master Certified Repair Technicians inspect each component to make sure they are in a good, safe condition. Sometimes the use of the vehicle differs from its factory purpose; towing, utility and off-road use can quickly exceed the manufacturers specification of suspension components. One thing Town Hill Auto Repair Service in Bedford PA can help with is improving the ride of your vehicle. Whether you have a car or van that you simply want to write smoother or a truck that needs to be built to handle heavier loads or an off-road environment; Town Hill Auto Repair Service in Bedford PA can help. Napa’s premium steering and suspension components, in many areas, far exceeds the manufacturer specifications, many offering a lifetime warranty. These improved steering and suspension components can dramatically increase the quality of your ride or handling of a utility vehicle. Be sure to ask your Town Hill Auto repair service advisor about these quality Napa parts. For over 20 years Town Hill Auto Repair Service in Bedford PA has been the area expert for steering and suspension diagnosis, repair and replacement including related parts such as shocks, struts, springs, tie rods, in links, sway bars, bushings and more. From the beginning, Town Hill Auto Repair Service serving Bedford PA has been dedicated to next level service often including what other automotive service centers in Bedford PA charge extra for. One thing that will never change is the Town Hill Auto Repair Service commitment to providing thorough steering and suspension diagnosis, repair and replacement including related parts such as shocks, struts, springs, tie rods, in links, sway bars, bushings and more. This has resulted in a loyal customer base that has kept coming back over the years; and it’s the Town Hill Auto Repair Service staff that keeps making the difference in that regard. The fact that all team members are ASE Master Mechanics; factory trained on all makes and models is not just a coincidence… it’s our standard! Our Napa Auto Repair Service staff in Bedford PA looks forward to serving you – We love our Job! 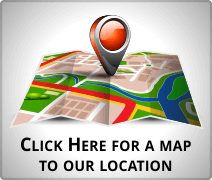 Our customers can count on personalized dependable automotive repair service. Our automotive repair staff takes pride in their work – We want to make you a customer for life! Each of our customers are given dignity and respect and a high regard for their differing points of view. Our priority number #1 is customer satisfaction and following through with our automotive service commitments. Call Town Hill Auto Repair Service in Bedford PA to schedule your steering and suspension diagnosis, repair and replacement including related parts such as shocks, struts, springs, tie rods, in links, sway bars, bushings and more. Our careful approach to customer relations guarantees that we can provide the services you need, and, in a time when every dollar saved matters. What do those numbers on my tires mean? 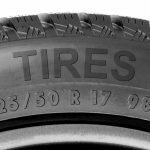 Tired of getting the run around when needing tires?